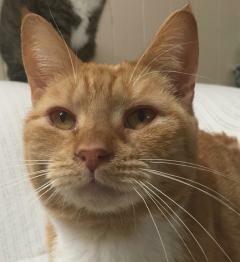 Olivia is a 2-year-old spayed female DSH Orange cat. Olivia, is very playful, affectionate, and talkative, who greets you at the door. She loves to have attention and be with people. Gets along well with other nice cats. For more information on Olivia, please phone the shelter at (845) 564-6810.